Hyundai confirmed that Michel Nandan would head up the programme as Team Principal. The Frenchman has held key technical positions in the WRC since the mid-1990s - most notably as Technical Director of Peugeot Sport between 1999 and 2005. The firm has also established a bespoke motorsport subsidiary, Hyundai Motorsport GmbH, under which the company’s WRC programme will be run. The cars will be built in new headquarters in Alzenau, Germany, close to Frankfurt, where Hyundai’s European HQ is situated. 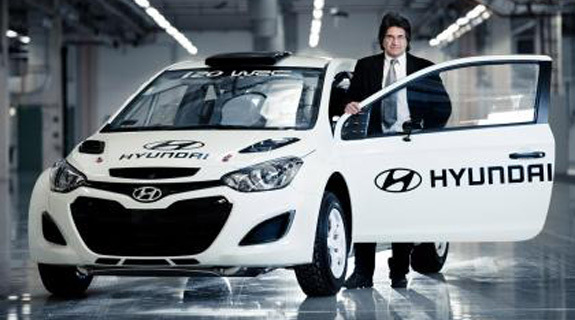 Hyundai is prepared to have the first full season back in WRC in 2014.